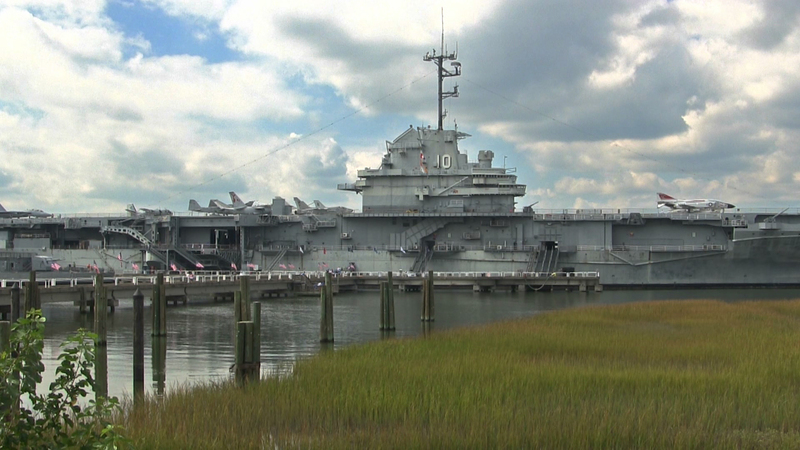 This Essex-class carrier was named YORKTOWN in honor of the YORKTOWN sunk at the epic Battle of Midway (June 1942). Built in an amazing 16-½ months at Newport News, Virginia, YORKTOWN was commissioned on April 15, 1943, and participated significantly in the Pacific Offensive that began in late 1943 and ended with the defeat of Japan in 1945. Uploaded in honor of Armed Forces Day. Filmed with a Canon Vixia HFM40. Post work done in Adobe After Effects. My Father served on the USS Yorktown from Day one he was a 3rd class Gunner Mate If You watch The Fighting Lady you can see him as a young man and some good shots of his gun mount as a plane hit it. I was in the Navy 69-71 and was a Repair tender the USS Klondike and tendered Destroyers and Sub's. during the Viet Nam era.